Properties in Pohangina Valley average 4.5 out of 5 stars. Property 1: Tawhiri Apartment, Waiouru. Inviting Railway Cottage. Old World Charm with Modern Conveniences. Property 15: Inviting Railway Cottage. Old World Charm with Modern Conveniences. 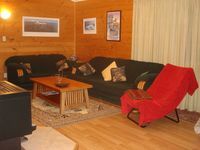 The Dairy - Comfortable & Sunny 5 mins from Ohakune - Wifi with unlimited data. 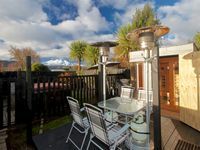 Property 41: The Dairy - Comfortable & Sunny 5 mins from Ohakune - Wifi with unlimited data. Property 46: Fantastic Lodge for Family or Groups..Drying Room! Get off the Tourist Trail! Property 47: Get off the Tourist Trail! Property 49: Walk to Junction - a great place to stay! Cute and comfy wee place!